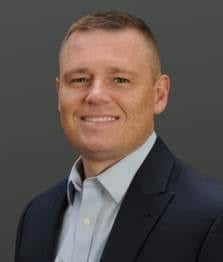 Wayne, Pa. (August 24, 2018) —Tri-Seal, a Tekni-Plex business, has announced that Brian Jacobi has joined as vice president and general manager of its North America operations. Jacobi will be responsible for the North America closure liners business, which includes a broad portfolio of closure liners and seals used on glass, metal and plastic containers for food, beverage, pharmaceutical, cosmetic, household/ industrial and agri-chemical products. He will report to David Andrulonis, senior vice president and general manager for Tri-Seal’s global operations. “With Tekni-Plex’s recent acquisition of Oracle Packaging, which included a closure liner portfolio, it was necessary to create a new position to manage a significantly larger business. Brian brings a wealth of cross-functional packaging experience which will be an asset to providing solutions to the marketplace,” Andrulonis said. Prior to joining Tri-Seal, Jacobi was vice president of sales and marketing for distribution, food and beverage, household and spirits at Berry Global. He has also held a variety of sales, production and finance roles at other well-known packaging companies, including Rexam, Graham Packaging and O-I. Jacobi has a Bachelor of Science in finance from the University of Toledo.